D-Link India has launched the COVR Home Wi-Fi Solution that works on Mesh Networking Platform by Qualcomm. The Mesh Routers is the new technology in a home network system which produces strong signals in every corner of the house. The Mesh routers come with multiple nodes which together creates strong Wi-Fi Network. D-Link Covr provides the performance and connectivity to support multiple devices in the modern smart home. D-Link COVR-C1203 is the first mesh system with swappable covers in different colors (Gold & Ocean blue). D-Link COVR features MU-MIMO technology for high and efficient throughput, it eliminates annoying Wi-Fi dead spots and creates high-speed seamless Wi-Fi zone in the entire home. 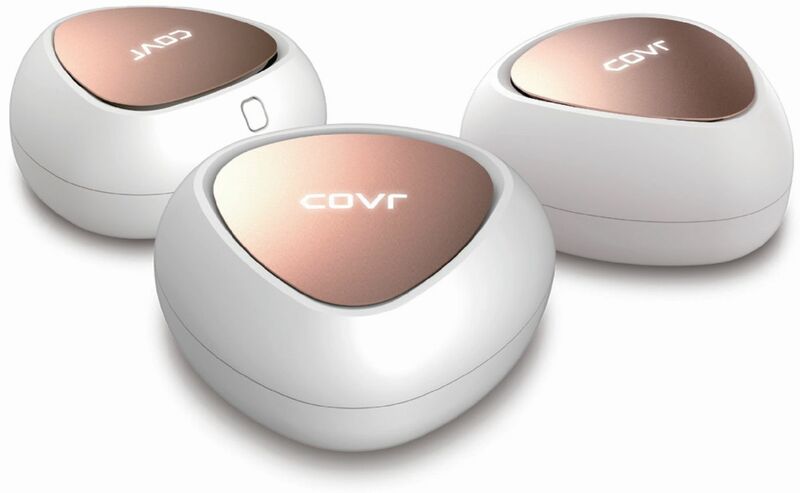 The Smart Roaming in COVR is designed to continually analyze the wireless signal strength between your devices, helping to automatically connect them to the Covr Point with the strongest Wi-Fi signal. This also makes it perfect for the IoT devices spread across all over the rooms. Now the devices like Google Home or Amazon Alexa can connect it to the nearest node which has a stable & strong Wi-Fi signal. D-Link COVR-C1203 is priced at a MRP of Rs. 12990/-. It is currently available across India through D-Link network of distribution, reseller, large format Retail (LFR) outlets and eCommerce platform.